This is a collector’s item! The Thrustmaster F599XX EVO 30 Wheel Add On is a detachable 11.8”/30 cm wheel, Ferrari 599XX EVO replica with hand-stitched wrapping crafted of the same alcantara as that used on Ferrari wheels! 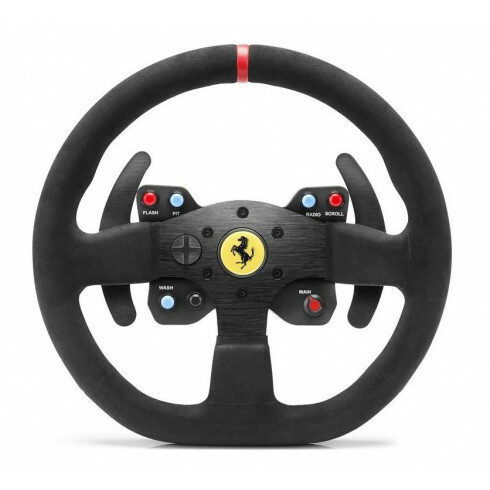 This wheel is compatible with all Thrustmaster racing wheels featuring a detachable wheel (T-series: T500 RS, Ferrari F1 Integral T500, T300 RS, T300 Ferrari GTE, TX Series). Authentic feel: hand-stitched wrapping crafted of the same alcantara as that used on Ferrari wheels!